Publishing is not the same anymore thanks to an increasing presence of digital technology. Digital publishing has helped to create documents and content that is virtually indestructible. Moreover, digital publishing is slowly gaining acceptance even in the most conservative corridors, in order to go paper-free. 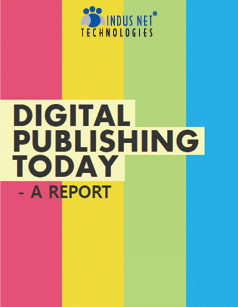 This industry report analyses the importance of digital publishing today and focuses on what the future is going to be. This industry report is targeted at anyone who is looking at publishing content online with the help of technical tools.